While punters typically like nothing better than plopping down in front of their home computer to play a few rounds of online roulette, poker or blackjack, most would agree that there is some room for improvement at their favorite online casino. 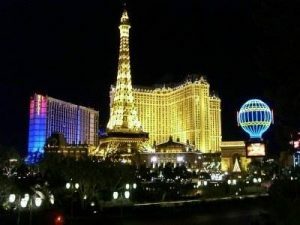 In an effort to meat these demands, the international online gambling industry will soon descend upon the American gaming Mecca of Las Vegas for this year’s North American Gaming Show. The annual trade show is one of the largest gatherings of online gambling personnel in the world, and serves as both a meeting ground for industry professionals and a launching ground for new games and software. This year’s event will also feature a number of informational seminars, networking events and guest lectures from some of the biggest names in the gaming world, including Casino Broadcast Network’s(CBN) CEO, Nodal O’Neill. O’Neill’s speech will focus on the future of social media in the gaming industry, specifically CBN’s forthcoming online roulette, blackjack and baccarat applications, from which it hopes to launch a larger social presence in the gaming world.